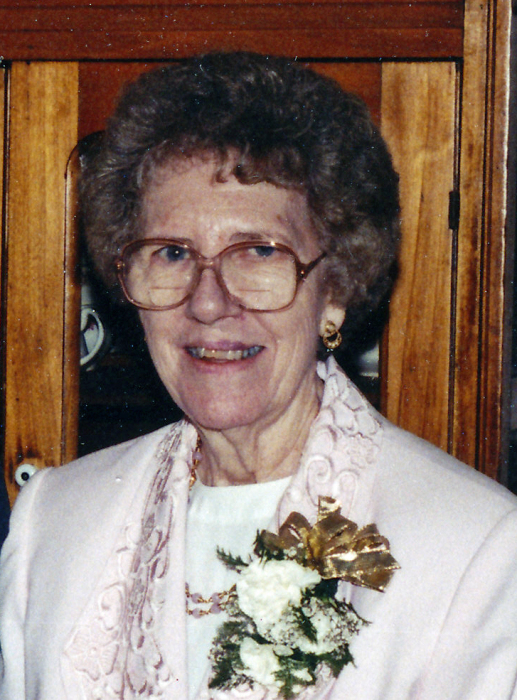 Mildred Marie Goates Bailey, 90, of Russellville, passed peacefully surrounded by her family on Monday, February 11, 2019 at Russellville Nursing & Rehabilitation in Russellville. The daughter of Homer and Eva Harwell Goates, she was born April 19, 1928 in Scottsville. She and Herman Bailey were married on October 19, 1949 in Russellville. She was baptized into Christ as a young woman and was a lifelong member of Mill Creek Church of Christ and later attended West Side Church of Christ with family. Mildred’s life revolved around her family and her faith. She was preceded in death by her parents; her husband; a brother, Herbert "Buddy" Goates; and a sister, Leeoda Hale. She is survived by two sons, David R. Bailey (Trish), Dover, Terry L. Bailey (Sharon), Russellville; a granddaughter, Tabatha Anthony, Vilonia; great grandchildren, Alexis Bailey, Breanna Lowe (Ethan),Preston Anthony, all of Russellville; great great-grandchildren, Brooka Robertson, Easton Lowe, Aniyah Freeman and Ellie Lowe. Funeral Service will be held at 2:00PM, Friday, February 15, 2019 at Humphrey Chapel. David Bailey and Dan Lightfoot will officiate. Burial will be at Bailey Family Cemetery in Russellville by Humphrey Funeral Service. Visitation will be from 1:00 pm until service time at the chapel. Memorials may be made to the American Cancer Society, c\o Judy Murphy, Pope County Chairman, 126 Lakeview Circle, Russellville, AR 72802; to Southern Christian Children's Home, 100 West Harding St., Morrilton, AR 72110 or to Parkinson's Foundation, 1359 Broadway, Ste 1509, New York, NY 10018.